Humboldt County is host to a number of cycling events throughout the year. The list below includes road, mountain bike and cyclocross events. 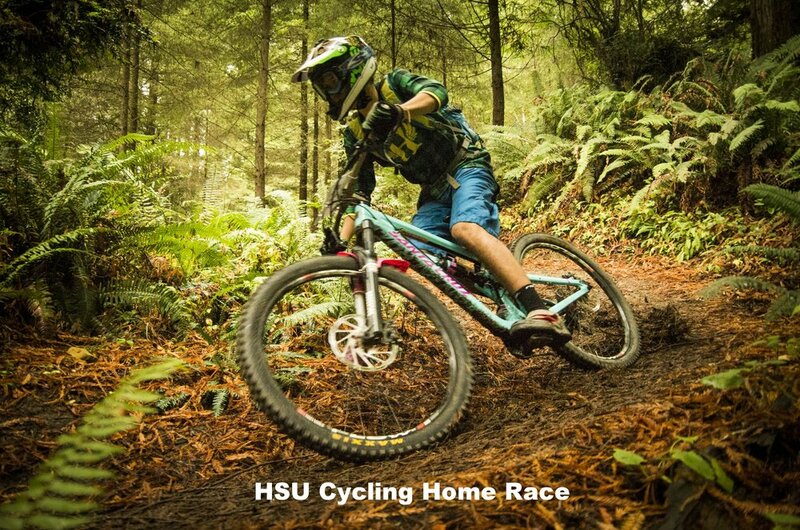 RCMBA's signature Event, the Stormy Saddle Enduro takes Place at Lacks Creek Recreation Area an hour from Arcata. The bike specific trails and camping accessibility make this Enduro one of our favorite events in the area. The Banana Slug series is an organized race/casual road ride series that goes from January through June with a ride on the second Saturday of every month. Rides range from 30-100 miles in length and travel through some of Humboldt most iconic roads. The Stomach Churn is an annual cyclocross event that takes place in Arcata usually before January is finished. Ever heard of crailing? If not, be prepared with your bike handling and low speed skills! The Tour of the Unknown Coast, TUC for short, "Californias toughest Century" takes place in May. Known for its elevation change and beautiful scenery, this isn't one to miss. The HSU Cycling collegiate race, while primarily collegiate riders, is open to the public and usually takes place near the end of October. The race has been held in the Arcata Community Forest, Lacks Creek, and even Whiskeytown Lake before. Bog Stomp is an annual Cyclocross event usually held in the beginning of December. Bog Stomp is put on by a local bike shop, Revolution Bicycles, and features a 30 minute race, a 50 minute race and a kids race in-between.